Subscribe for exclusive content & announcements! * We never share our mailing list, or any of your information, with third parties. You can opt out at any time. 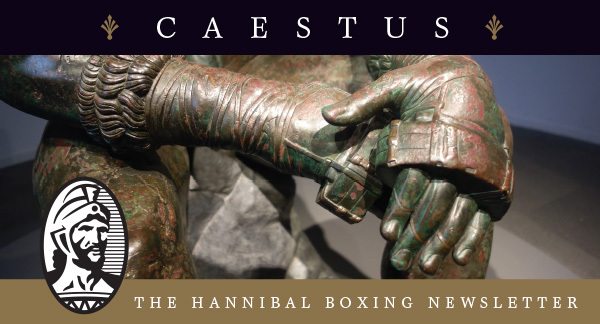 Sign up for our monthly newsletter and enjoy the best boxing content on the Web! New titles from our publishing imprint, Hamilcar Publications, announced as they are acquired & published.